Hiring nursing help is an important step for those who cannot afford to become the caregiver for an aging parent or relative. But when is the right time? Most of us accept that seniors will need nursing help at some point in their lives. However, it can be confusing to decide when to hire that help. If you have been asking yourself, “When should I hire an in-home nurse?” we understand the stress you are likely undergoing. With the modern emphasis on aging in place, the issue becomes even more complicated. It’s a good idea to let a senior live out their final years in their own home, if possible. However, if they are not able to care for themselves in that home, the situation may become dangerous. The good news is if you’re not sure when higher help, you can look for certain signs. These include locomotion issues, failure to take medication or provide adequate self-care, and a dangerous home environment or unsafe driving. They also include mental instability or depression, loneliness and isolation, forgetfulness and dementia. Or even, in some cases, simple requests for help. Have you noticed any of these issues with the senior in your life? Or, are you are a senior and think you might be in danger because you are not able to care for yourself in the way you once were? It’s time for help. You need to get in touch with a professional caregiver who can provide that help. First, though, let’s look at these issues one by one. Understanding the signs means you are much less likely to let it go too long. That, in turn, means a happier, healthier life for the senior in question. As we get older, it gets harder to move around unimpeded. With aching joints, weaker muscles, brittle bones and slower reaction times, movement simply becomes more dangerous. Plenty of seniors can navigate this themselves with canes, walkers or other aids. However, others need more help. This is especially true when physical issues make it difficult to clean and tidy. That means a greater incidence of objects building up in the home. This can lead to trip hazards. If this is happening, it’s time to get help. The failure to take medication is a very common but very serious occurrence in the elderly population. Forgetfulness or low motivation to take medication often means seniors just don’t do it. Whether are the meds are for pain or a serious heart condition, that’s a problem. Not taking them can lead to a significantly lower standard of life. A good caregiver will keep medication on a regular schedule, even during the night. If you notice any of these, it’s time to get help. Unsafe driving is another huge issue in the elderly population. Many seniors are aware that their driving isn’t what it used to be, but they don’t have an alternative. If they want to get out, go to appointments and buy food, they must drive. With a caregiver’s help, however, that’s no longer the case. A quality caregiving company will offer driving services. That way, the senior doesn’t have to rely on their own skills to get here and there. Depression is common in older adults. They slowly lose their ability to engage in hobbies. Perhaps they cannot take exercise as before. They may not be able to do basic activities such as cooking. As their bodies fail them and they’re no longer able to do what they once could, sadness may set in. In addition to depression, this can cause anxiety. Some seniors may experience frustration, cabin fever or even suicidal thoughts. It is critical to counteract these realities. Getting a senior proper care, healthy food, outdoor time, and a simple feeling of TLC can go a long way towards the problem. If depression persists, it’s important to see a doctor. As the elderly age and become increasingly housebound, loneliness and isolation often begin to take their toll. Being lonely is a rough feeling of not getting enough interaction. Isolation is a compounded feeling, in which the senior feels as though they have no one. Caregiving can help improve such issues. With a car to get the senior out of the house, time with friends becomes possible again. Simple trips to the grocery store or library can also reduce feelings of isolation. Humans are a pack species, so if the senior isn’t getting social interaction, that needs to change. Sadly, many seniors develop dementia as they get older. Even if your elderly one does not have a serious condition such as Alzheimer’s, they may become more forgetful as time goes on. That can lead to many of the above conditions, such as forgetting to get out of the house or take medication. It also makes proper self-care more difficult. If a loved one has dementia, it is critical to hire a good caregiver. With just a little help in daily life, the senior will enjoy a much higher quality of everyday living. Do you think it might be time to get nursing help for the senior in your life? If so, it’s time to contact a provider of private nursing services in the Arizona area. Celestial Care is happy to be there for you and your senior, so contact us today online or by calling 602-375-8880. Look forward to helping you create an excellent end of life for your loved one or yourself. Don’t wait to get in touch. 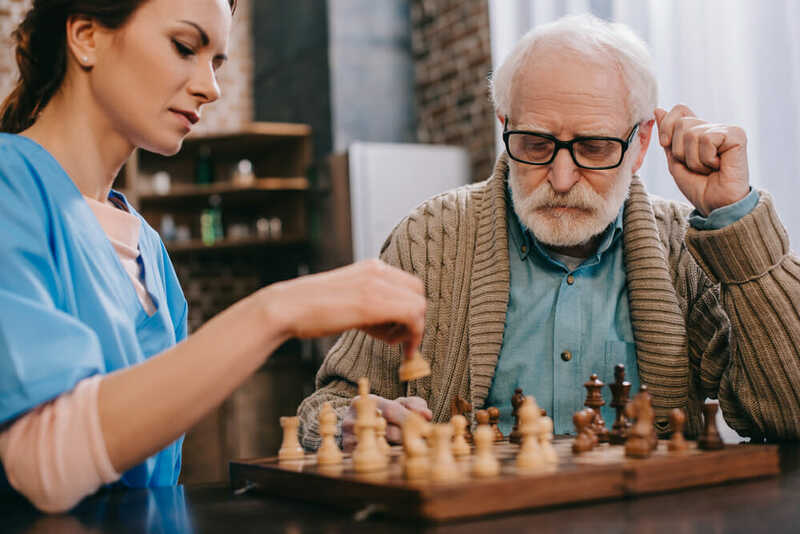 When a Caregiver Isn’t Enough: Is It Time for Skilled Nursing Care in the Home? Care Management - What Is It and When Is It Needed?